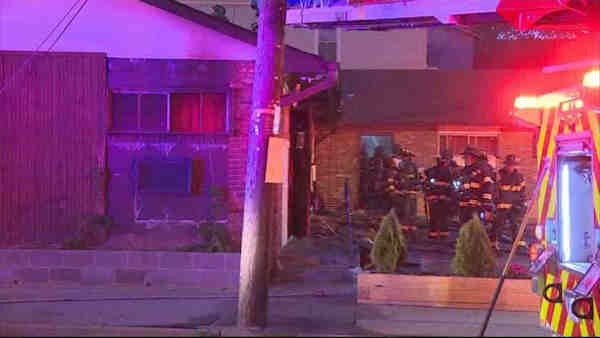 IRVINGTON, New Jersey (WABC) -- Two people were burned in a motel fire in Irvington Friday. The fire broke out in two units at the Gallery Holiday Motel on Ball Street just after 4:45 a.m.
Two guests were burned and taken to St. Barnabas Hospital in Livingston for treatment. Thirteen other people who were staying at the motel were evacuated. The fire was contained to the two units and is under control.